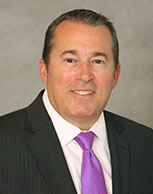 Ken Smyth is the Vice President of Sales Engineering. In this role he works directly with the CEO and VP of Engineering Services, as well as other senior leadership team members at Tekmark to align its Sales Engineering strategy with revenue and growth objectives. Additionally, Mr. Smyth works with the business development and sales team to establish sales approaches and present technical presentations to prospects, customers, and company associates. He actively drives and manages the technology evaluation stage of the sales process, working in conjunction with the sales team as the key technical advisor and solutions advocate for Tekmark’s services. He oversees the sales engineering activities for Tekmark’s leading accounts and orchestrates the efforts as required for the creation of proposals, ensuring compliance with customer requirements and highlighting the company’s value proposition in response to Request for Proposals (RFPs). Prior to joining Tekmark in 1997, Kenneth was interim vice president and chief information officer at Bell Atlantic Mobile, a position he attained in 1995. During his 14 years at Bell Atlantic, he developed expertise in software engineering and quality programs through a variety of information technology positions. He has managed large information technology projects, set strategic technical direction, recruited and trained technical personnel, and implemented both technical infrastructures and applications. Mr. Smyth graduated from New York University with a degree in computer science. He also attended the Executive Leadership Program, Wharton Executive Education at the University of Pennsylvania and received a Certified Systems Professional certificate from the Institute of Certification of Computer Professionals.